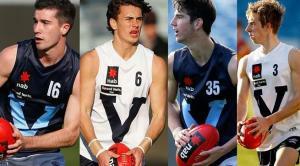 The curtain was drawn recently on the 2014 NAB AFL U18 Championships. See below for the full NAB AFL U18 Championships 'By the numbers' for each player for Vic Country and Vic Metro. The stats below are the averages across the games played for each player.